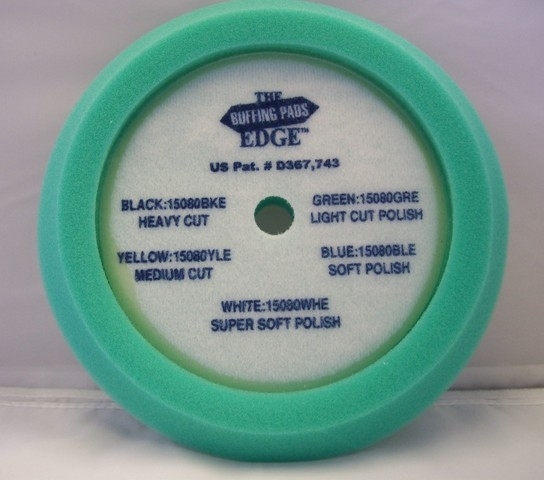 The green pad has 60 pores per inch for light cutting. It's a very verstile pad; buff with light compound on clearcoats, rinse with water, apply polish or way. Works freat for humid weather when waxes may cake.